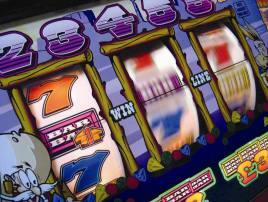 Home » Articles » Are binary options a form of gambling? From the very beginning, binary options have been intended to be understood and traded easily, which is good. These two main characteristics of binary options are the reason why many traders take them as a form a gambling. Is this opinion valid? If we want an answer, we need to look into the binary options a bit deeper. In my opinion binary options are considered a form of a gambling, because they can end up in two ways only, a win or a loss, just like when you’re playing roulette. Your trades either end up in-money and you profit or out-of-money and you lose money. In order to be successful you need to make a successful prediction of the price direction, in other words whether the value will increase or decrease. As I’ve said, this can be considered as a primary point of controversy. 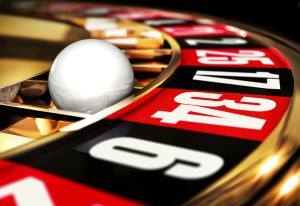 Some authorities take it as a gambling, as it is in roulette where you have to choose between the red or black color. A win or a loss depends on whether the spin will end up in one of the chosen colors, similar to whether the trade ends up in-money or out-of-money. The difference with binary options is that the market’s direction is influenced by other factors. You can’t influence a position of the ball in roulette, can you? But binary options are not a question of luck, because of the importance of a human factor. So, it’s up to you how much money are you going to make with binary options or how much will you lose. These are the main reasons why binary options might be thought of as a form of gambling. Most of the “experts” that claim this don’t know anything about binary options and haven’t devoted time to them either to understand them better. Binary options trading isn’t any more difficult then deciding whether the price will increase or decrease. You don’t need to study the assets hard or analyse them in a special way to be successful. This might be the main stumbling block. Others call binary options a gambling because their success rate needs to be higher than 56% (breakeven ratio) to have a long-term profit. Yes, it’s true – if you want to keep trading, you need to be more successful than 50-50. This is not a reason though, to call binary options a form of gambling, is it? Maybe it doesn’t sound nice that you can lose everything that you’ve invested into the trade, but everything can be influenced and the best thing is that you can influence it if you want and your own success rate might be easily higher then 80%(or more). Moreover, you have to count with a certain risk with any kind of business. If you don’t devote enough time to the binary options, your long-term outcome will be a loss of money that you’ve invested. But the same thing could happen, if you owned a store and wouldn’t sell anything; rotten bread has to be thrown away – this means a loss of money you invested in the bread. A solution to a sufficient breakeven ratio is to concentrate more on a technique of a trade, using a strategy and study everything thoroughly – this can be your stepping stone! As I said at the beginning, the point of binary options trading is simple, but don’t get drawn in by it. If you want to trade binary options long-term and profitable, you just need some knowledge and experience. If you’re going to jump into the trade without these two factors present, you’ll much probably end up losing most of you invested money. Studying binary options is time consuming, you have to devote it a bit of a time, but it’s always better than sitting in a pub, right? If you’re just starting out, I highly recommend you to check out tips for beginners and other tips that will bring you from the very beginning to the sweet end of successful trades and money. Have you been interested in binary options for a while and you’re planning to register with a broker? Then, I recommend you to have a look at our list of recommended brokers that we’ve put together – these brokers are secure and you can be sure you won’t be a victim of a fraud and you’ll receive all the money you’ve earned. I wish you a lot of successful trades.